You are here: Home / Beauty / Which Sunscreen is Better for Your Skin Type? Whenever you’re going to go outside, you should be applying sunscreen. Even if you aren’t going to spend very much time in the great outdoors, sunscreen is crucial if you want to protect your skin. You can slow down the effects of aging, stave off skin cancer, and avoid burns. All by taking a few minutes to apply sunscreen before you head out. Contrary to what many people think, sunscreen isn’t one-size-fits-all. You shouldn’t pick up the first sunscreen you see on the shelf. You could easily be harming your skin. The choice of sunscreen is largely based on your skin type. At least it should be. Here’s the breakdown on skin type versus sunscreen. Typically, dehydration or an arid climate causes dry skin. In some cases, your skin just might not make enough oils to keep it properly hydrated throughout the day. Even if you’re drinking plenty of water. Regardless of why you have dry skin, it’s important to keep it protected from UV rays. However, some sunscreens can actually be damaging to dry skin. 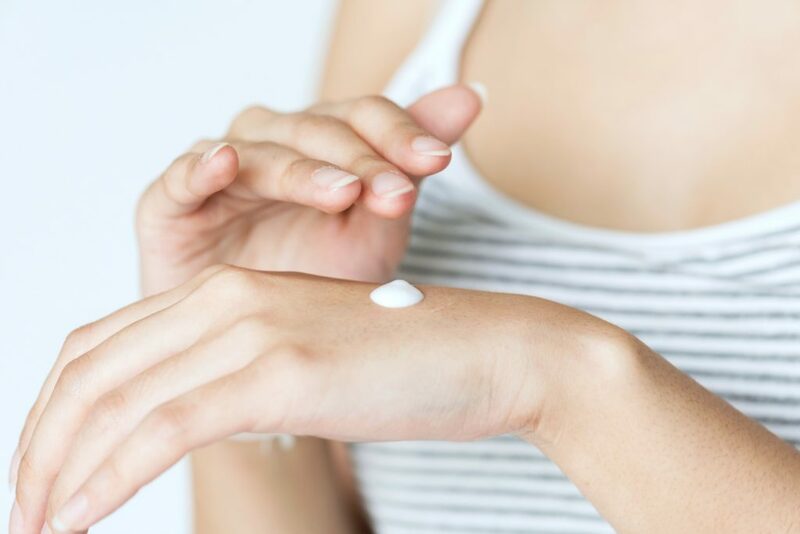 When you’re picking a sunscreen for dry skin, make sure it has built-in moisturizer. A moisturizer can help your skin remain hydrated and smooth. Even if you spend time in dry heat. Without a moisturizer in your sunscreen, dry skin will crack and become itchy even faster than normal. Staying out in the sun is fun, but it could turn into a nightmare without the right kind of sunscreen. Formulas with naturally moisturizing ingredients can be incredibly helpful for those with dry skin. If you’re constantly having allergic reactions to your skin care and hair care items, you’re probably dealing with sensitive skin. These reactions can be mild or so severe that they require dermatological care. However, no matter how severe the reactions, you should take steps to ensure you’re giving your skin the attention it needs. Looking for sunscreen labeled “hypoallergenic” can be extremely helpful in curbing your allergic reactions. Furthermore, you’ll want to find fragrance-free sunscreens. Added fragrances are usually, in essence, chemical compounds. If you have particularly sensitive skin, err on the side of caution. Use a physical sunscreen rather than a chemical one. Physical sunscreens use zinc oxide and titanium dioxide to prevent UV absorption, so they’re less likely to irritate your skin. Applying sunscreen to oily skin can be particularly frustrating. Especially because of the sticky feeling that comes along with mainstream sunscreens. Sunscreen can suffocate your skin and leave a greasy feeling for many hours after applying. This will often exacerbate skin conditions and create even more problems. To protect your skin without making the oily feeling even worse, use a light sunscreen or sun-blocking powder that doesn’t cover your pores. Powders are a great option, as they absorb oil as your body produces it. Breathable sunscreens can also be incredibly useful for your everyday skin care regimen. Oily skin can also be an allergic reaction to certain overly drying chemicals, so trying a hypoallergenic solution might be a good idea. There are plenty of choices for sure, and plenty of reasons to use each. If you want an all-in-one solution that’s great for dry skin, oily skin, sensitive skin, and everything in between, Nurture My Body 100% Organic Fragrance-Free Sunscreen is a versatile option. This sunscreen includes jojoba oil, shea butter, and Vitamin E to moisturize the skin. In addition, it’s fragrance-free and made of natural, organic ingredients, making it perfect for sensitive skin. Those with oily skin will be happy to hear that the formula is non-comedogenic. So, it won’t block your pores and produce blackheads. Thanks to SPF 32 protection and biodegradable ingredients, every member of your family will start to love applying sunscreen. There aren’t many sunscreens for every skin type, but Nurture My Body has broken skincare down to its basics, and that’s good for everyone. If you enjoyed this skincare post, check out my other beauty tips. What type of sunscreen do you use? Previous Post: « Do You Think You’re “Ugly”?